The DMR standard allows manufacturers to interpret how to implement certain functions and features. This has led to a number of proprietary solutions being developed, which consequently do not work on other vendors’ equipment. This means applications developers often have to work with specific interfaces created by individual manufacturers rather than working to a standard interface common to all. This in turn has the effect of slowing down application development and making life a lot more complicated for application developers seeking to sell their solution to multiple vendors. It also means the promotion of interoperability between DMR vendors is impeded. To get round this problem the DMR Association developed and approved a protocol to connect DMR Tier II and Tier III systems with dispatch consoles, voice recorders, IP data applications and other products from third parties. The protocol is known as AIS, or Application Interface Specification. AIS provides the standardised base functionality required to interface with a DMR radio system. AIS uses a wireline interface to connect to the DMR system via an Ethernet port on a repeater or base station using IP. A single cable can handle any number of radio channels. Another advantage of using an IP connection is that the dispatch console or application can also be physically separate from the radio system, but connected to it by standard IT equipment. It is therefore very simple to set up and much more cost effective than a wireless connection, which could require multiple gateways, power supplies, control stations, antennas and so on depending on the number of talk groups or channels being used. AIS enables Hytera partners to develop specific tailor-made applications for their customers, which can be integrated with their DMR system. An example is using third party gateway system to connect Hytera DMR networks to alarms and SCADA solutions and to enable email and GSM text messaging. This helps customers expand their DMR system using the gateway for bi-directional integration and to provide access to rich-data feeds. 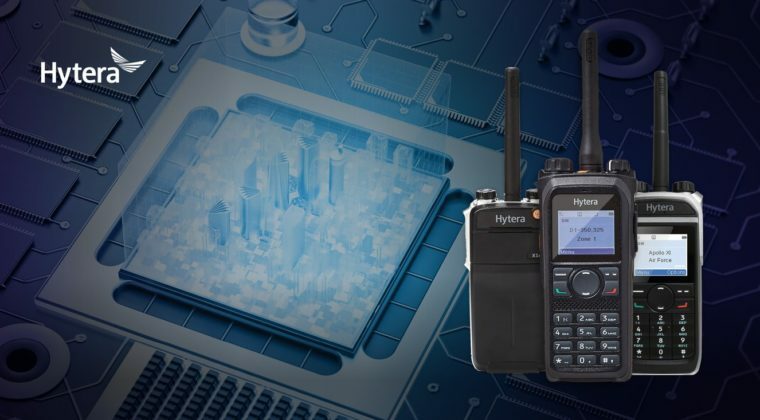 However, Hytera provides many of the key applications sought by customers thereby avoiding the necessity of having to integrate third party dispatch or voice recording solutions into the Hytera DMR radio system, as some manufacturers have to do. For example, Hytera SmartOne combines most of the professional functions required by two-way radio users in a series of modules using one intelligent interface. It supports dispatching functions, such as voice calls, GPS positioning services, SDS messaging functions, voice recording and gateway services. The software can also be expanded by a series of plugins, e.g., for displaying IP-connected CCTV cameras. It is possible to integrate browser-based web content, such as big data applications or web-based analytics. Hytera Smart Dispatch is also based on client-server architecture, with a modular design and Voice-over-IP support (VoIP) to provide the latest dispatching features in one software solution. We will look at dispatching and control room applications in more detail in the next blog.